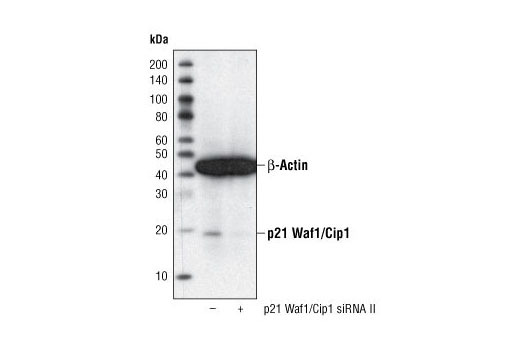 Western blot analysis of extracts from MCF7, L929 and C6 cells, using Cyclin D1 (92G2) Rabbit mAb. 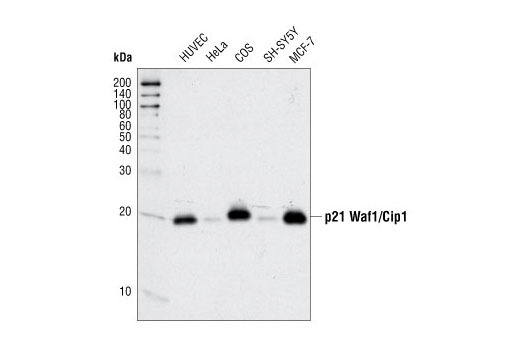 Western blot analysis of extracts from HeLa, IM-CD-3 and C6 cells, using CDK6 (DCS83) Mouse mAb. 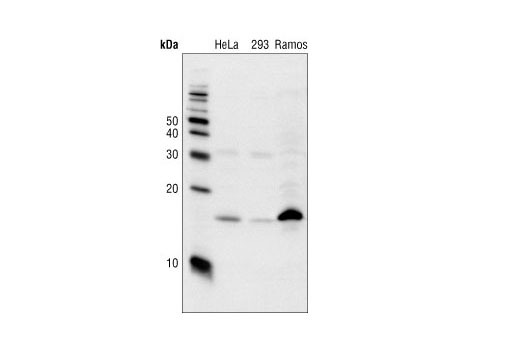 Western blot analysis of extracts from HeLa, 293 and Ramos cells, using p18 INK4C (DCS118) Mouse mAb. 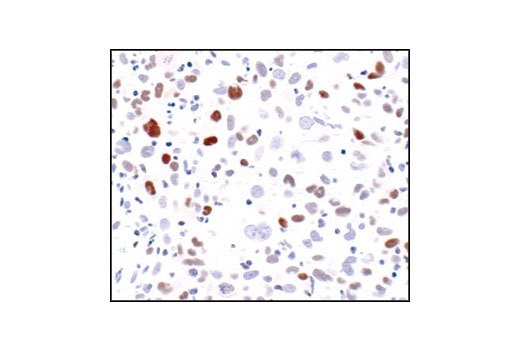 Immunohistochemical analysis of paraffin-embedded human colon carcinoma, using Cyclin D1 (92G2) Rabbit mAb. 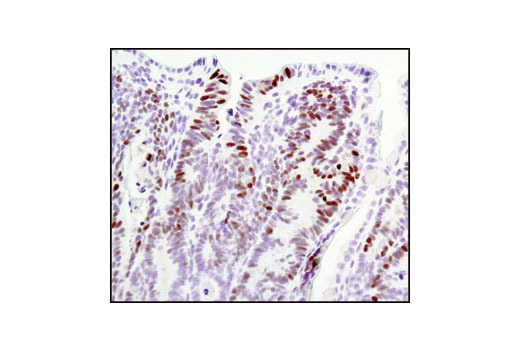 Immunohistochemical analysis of paraffin-embedded Apc (min/+) mouse intestine using Cyclin D1 (92G2) Rabbit mAb. 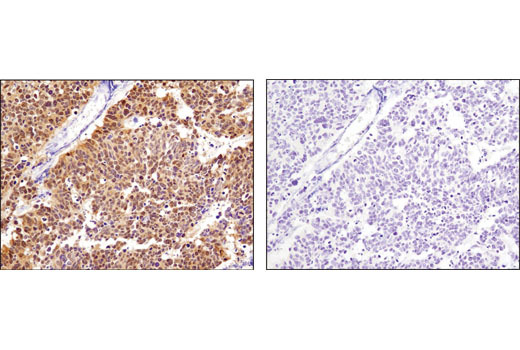 Immunohistochemical analysis of paraffin-embedded human breast carcinoma, using Cyclin D1 (92G2) Rabbit mAb in the presence of control peptide (left) or Cyclin D1 Blocking Peptide #1044 (right). 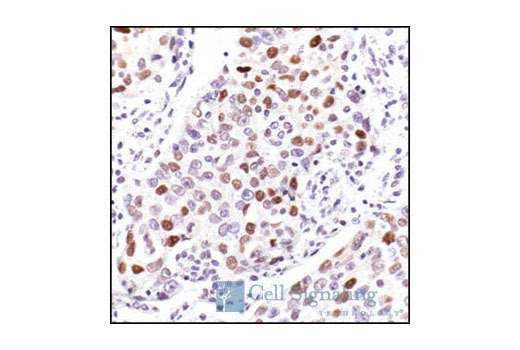 Immunohistochemical analysis of paraffin-embedded H1975 xenograft, using Cyclin D1 (92G2) Rabbit mAb. 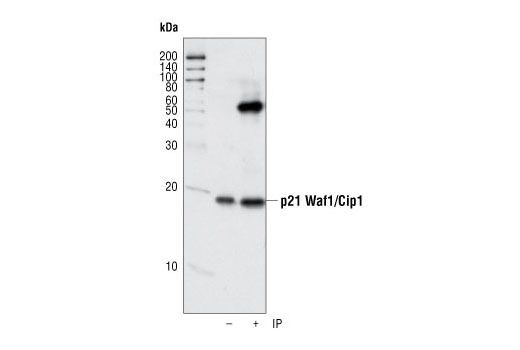 Polyclonal antibodies are produced by immunizing animals with synthetic peptides and are purified by protein A and peptide affinity chromatography. 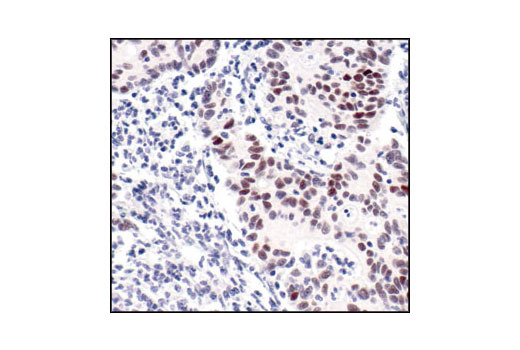 Monoclonal antibodies are produced by immunizing animals with recombinant human proteins or synthetic peptides. 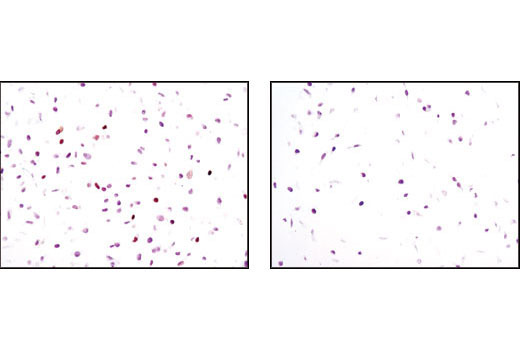 Eukaryotic cell cycle progression is dependent, in part, on the tightly regulated activity of cyclin dependent kinases (CDKs). 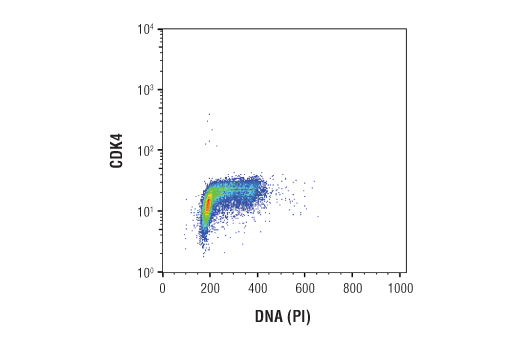 Cyclin D/CDK4/6 activity occurs in mid-late G1 phase, upstream of CDK2/cyclin E activity. 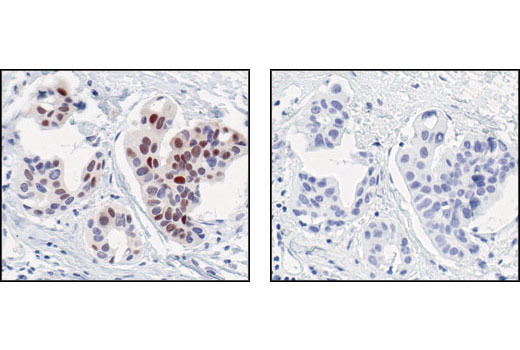 Both of these activities are required for hyperphosphorylation of the retinoblastoma gene product (pRb). 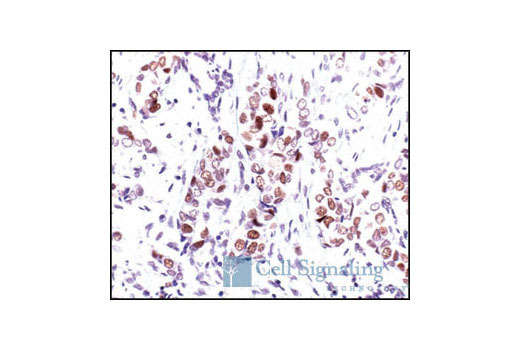 pRb phosphorylation allows the release of S phase-promoting transcription factors and is indicative of the cell's commitment to proliferate. 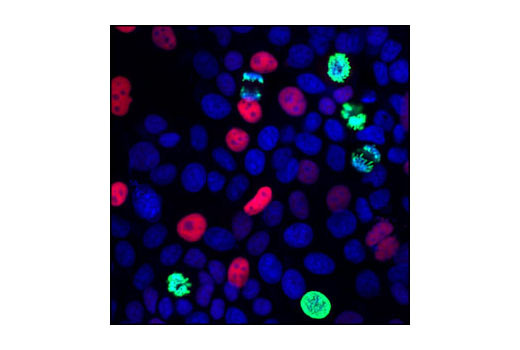 This point in the cell cycle is known as the restriction point. 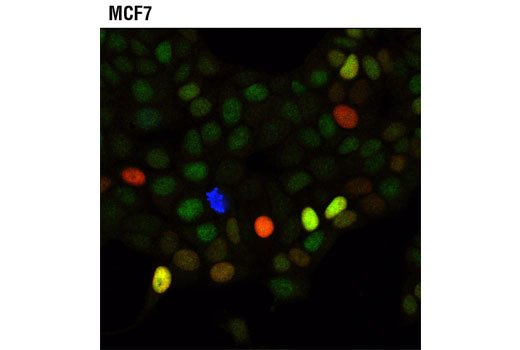 Cyclin protein levels oscillate throughout the cell cycle, and their availability is a means of controlling CDK activity and cell proliferation. 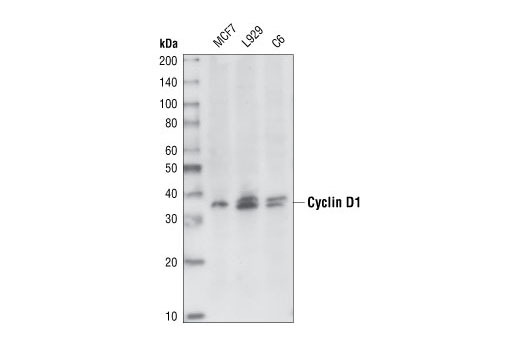 Cyclin D is degraded through the ubiquitin proteasome pathway in the absence of mitogenic signaling. 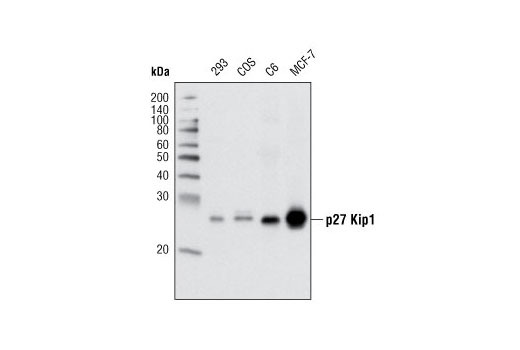 Ubiquitination of cyclin D1 is enhanced by phosphorylation at Thr286 by glycogen synthase kinase 3b (GSK-3b) (1). 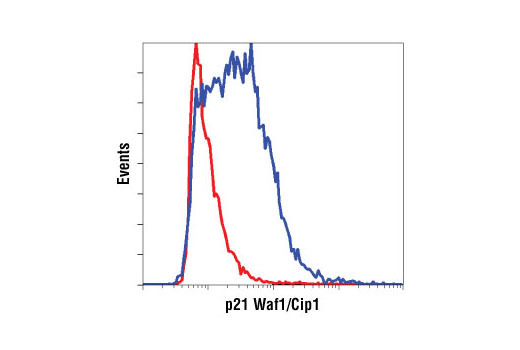 p27/Kip1, p57 Kip2 and p21 Waf1/Cip1 are members of the Cip/Kip family of cyclin-dependent kinase inhibitors. 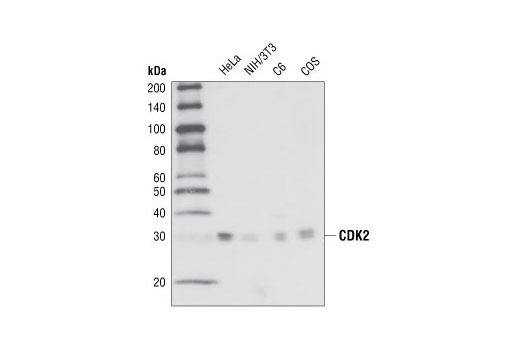 They form heterotrimeric complexes with cyclins and CDKs, inhibiting kinase activity and blocking progression through G1/S phase (2). 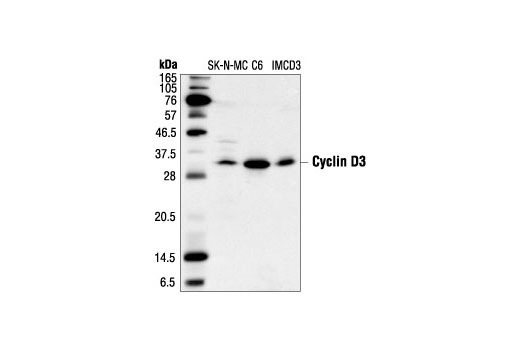 However, p21 may enhance assembly and activity of cyclin D/CDK4/6 complexes (3). 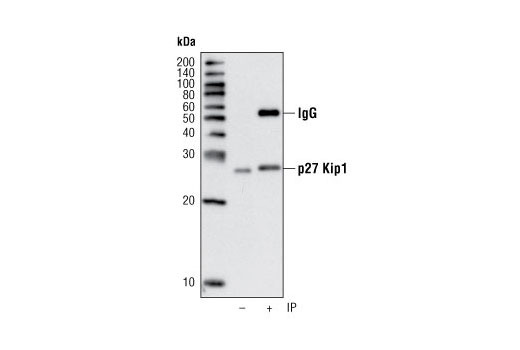 Levels of p21 and p27 protein are controlled through ubiquitination and proteasomal degradation (4). 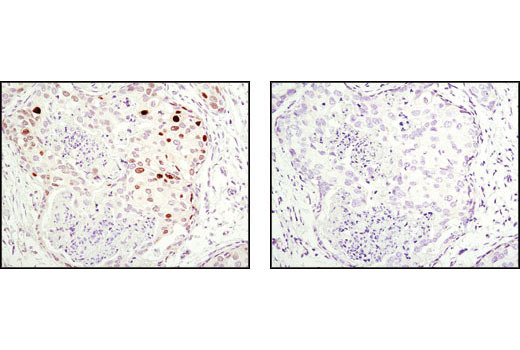 Levels of p27 are upregulated in quiescent cells and in cells treated with negative cell cycle regulators. 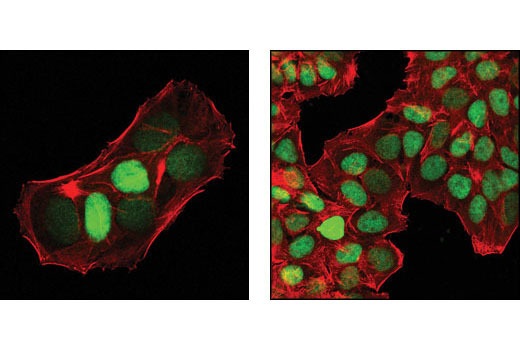 p27 nuclear localization is controlled by Akt-dependent phosphorylation at Thr157 (5). 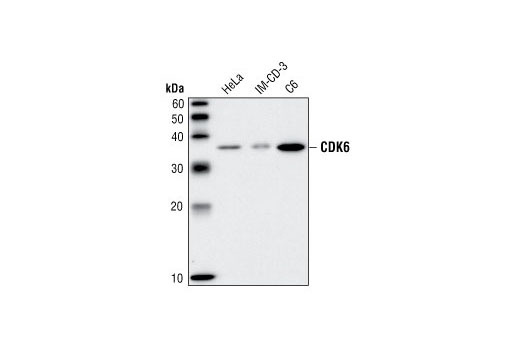 The inhibitors of CDK4 (INK4) family include p15 INK4B, p16 INK4A, p18 INK4C, and p19 INK4D. 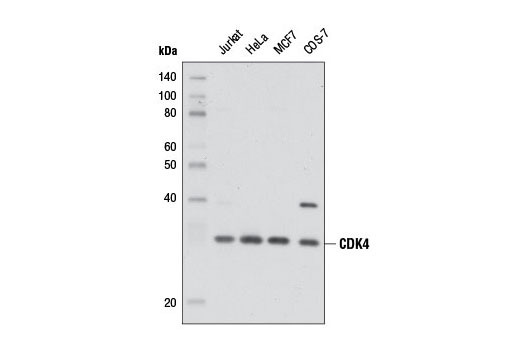 All INK4 proteins selectively inhibit CDK4/6 activity, either in a binary complex, or in a ternary complex including cyclin D, resulting in inhibition of cell division (6,7). Shin, I. et al. (2002) Nat Med 8, 1145-52. Guan, K.L. et al. 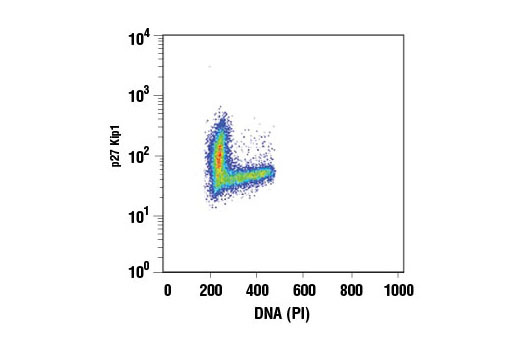 (1994) Genes Dev 8, 2939-52. Huang, M.Y. et al. 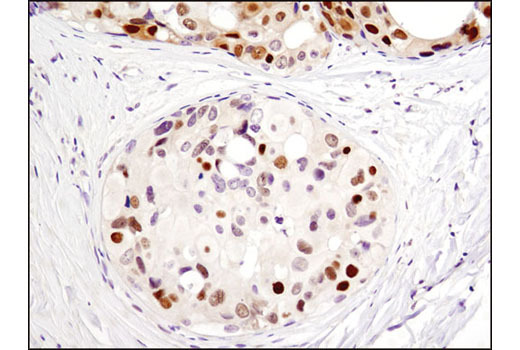 (2016) Oncogene , . Yamanaka, Y. et al. (2009) Blood 114, 3265-75. Chang, S.F. et al. 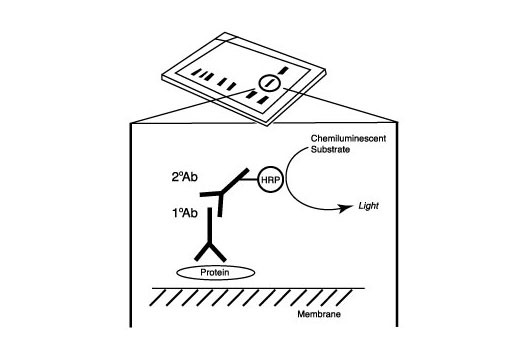 (2008) Proc Natl Acad Sci U S A 105, 3927-32.